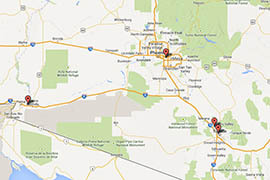 TEMPE – Police departments at Arizona State University and community colleges in Tucson and Yuma have acquired 79 fully automatic M-16 assault rifles and nine older M-14 rifles under a Department of Defense program that distributes surplus weapons to local agencies throughout the country. A review of state-level data on the Department of Defense Excess Property Program showed 70 M-16s going to ASU and nine M-16s going to Arizona Western College in Yuma. Pima Community College received nine M-14s that a school official said are used by an honor guard. 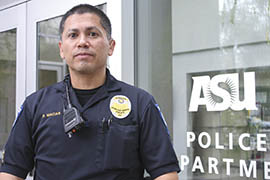 While campus police at ASU and Arizona Western College said the military rifles enhance public safety and protect officers, a representative of the American Civil Liberties Union of Arizona said the weapons speak to an alarming militarization of police forces around the country. 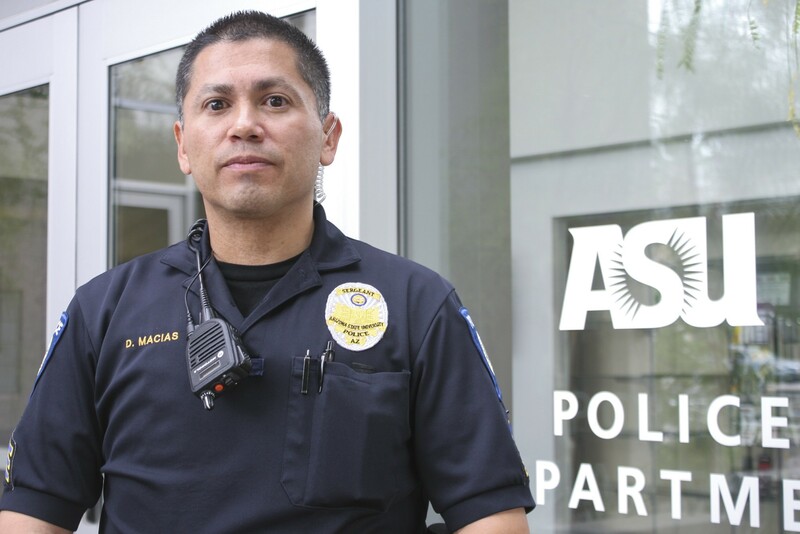 The ASU Police Department acquired the M-16s a year and a half ago when the Arizona Department of Public Safety wanted to get rid of weapons it acquired under the so-called 1033 program, said Sgt. Daniel Macias, a spokesman for the department. ASU requested 70 specifically to equip each officer, he added. Macias said the weapons remain in the department’s armory and haven’t been distributed to officers. The department requires officers to complete 40 hours of training to carry the M-16s, and officers haven’t had enough time to complete the training yet, he said. He said M-16s will allow the department to be prepared for worst-case scenarios. 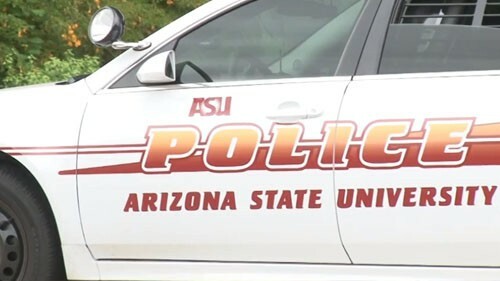 At Arizona Western College, Police Chief John Edmundson said M-16s ensure school safety, adding that safety concerns were heightened by the school shooting in Newtown, Connecticut. Arizona Western College also houses a child development learning lab and a remote Northern Arizona University campus. Because of the many facilities housed there, Edmundson said he wants to make sure he can protect everyone. Edmundson said he makes sure his officers complete a variety of training to be prepared for such situations. When school isn’t in session during the summer, officers do movement drills in the child development lab so they know the layout of the building, he said. Under the 1033 program, Arizona Western College also acquired a flatbed truck and Humvee, which Edmundson said his department uses to haul large equipment and materials. Last month, the police department volunteered to help the local crisis center lug donated equipment in the trucks, he said. The M-14s acquired by Pima Community College are used only by a police honor guard that participates in community events, said Michelle Nieuwenhuis, the department’s commander. On the rare occasions that officers fire them, they use blanks, she added. While many state and local police agencies have acquired weapons under the 1033 program, the ACLU’s Soler said she’s particularly concerned about schools having military weapons. Outside the ASU Police Department’s headquarters, junior Alexandra Hambridge said she recognizes that the M-16s may be needed in certain situations. “I don’t think it’s anything that we should have ready on-the-go, to have all the time,” she said. Freshman Connor Sample said having guns is already a big problem throughout American culture and that using guns to fight violence isn’t the solution. At Arizona Western College, Edmundson said his department needs the weapons. “Sadly the best justification is a study of history,” he said. Macias said he wants to remind people that ASU’s only concern is for the safety of everyone on campus. Cronkite News reporter Megan Thompson tells us what the Arizona State University Police Department has planned regarding the weapons. Sgt. Daniel Macias, a spokesman for the Arizona State University Police Department, said the school requested 70 M-16s to equip all of its officers. He said the weapons would be used only in a worst-case scenario. Click the map above to explore how Arizona colleges have used a program providing surplus military equipment to state and local police agencies.